There still exists in some fundamental circles a fight for the validity of one’s religion over another. This “apologetic” ethic is quite lacking precisely because those approaches are usually more about “defending” one’s religion rather than “explaining” it. By saying “my religion is true” to mean “yours is false” does not actually help people understand what we’re really talking about. Too much limbic system. Not enough neocortex. So if you pick up Why Buddhism Is True, recognize the title is meant to be more of a marketing provocation. The subtitle is truly the essence of what this book is about, The Science and Philosophy of Meditation and Enlightenment. To that end, Wright does an incredible job at weaving together the various spiritual concepts with neuroscience and biology. It is a fascinating look at how our brains have been wired, and how we actually have the power to hack our wetware into happier and more fulfilling life experiences. And, because this is grounded in our common experiences as sentient and conscious beings, you will discover that what lies between these pages has been recognized, not just by Buddhism, but by virtually all the religious and spiritual philosophies in the world. 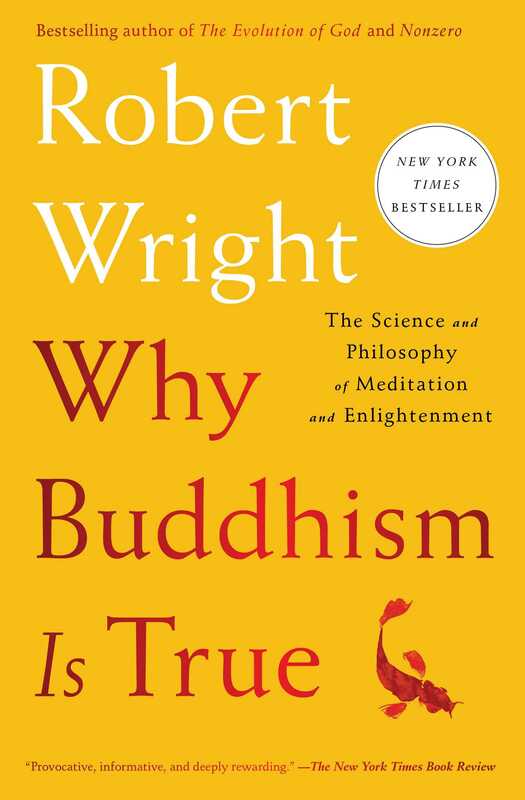 What is also surprising is that this book is not about Buddhism ultimately, but is in the end mostly about how the world can become a better place. Wright’s call to us to consider the concepts and practices in this book are for “the planet’s salvation,” and he makes a compellingly articulate case. While that goal may seem audacious, if received in the spirit of hope and a plea, it is rather quite inspiring and persuasive, something that all of us can consider, regardless of one’s religious persuasion or lack thereof. Does Not-Self Really Mean No self? Does Your Inner Judge Really Judge? Is “Self-Discipline” Really the Problem? Apparently some very accomplished meditators get to a point where they feel this truth deeply, and may even see the world as “empty” or “formless” on a regular basis. This is considered an important feat, especially if your goal is to attain enlightenment. Doesn’t part of the freedom come from the fact that you are not attaching these judgmental, affective connotations to things? In other words, not attributing essence so strongly to things can be a source of freedom. So if nirvana is “the unconditioned,” then you might think, it would involve some kind of escape from “the caused.” And you would be right! But what does that mean? How Weird Is the Unconditioned? Is “Secular” Buddhism a Religion? 2. Humans tend to anticipate more in the way of enduring satisfaction from the attainment of goals than will in fact transpire.